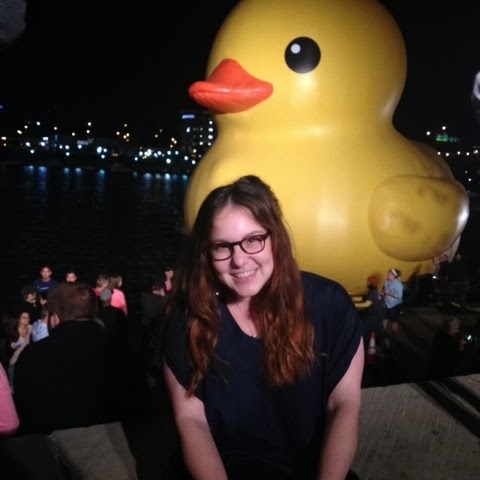 Have you heard of the Giant Rubber Duck? If not, don't worry -- I only found out about it a few days ago. 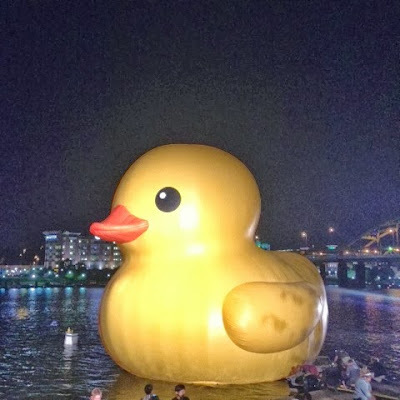 But, in a nutshell, it's an art installation from Hong Kong that's now made its way stateside -- and it's taken up residence in Pittsburgh. What types of fun events like this happen in your city? Let me know about them in the comments! 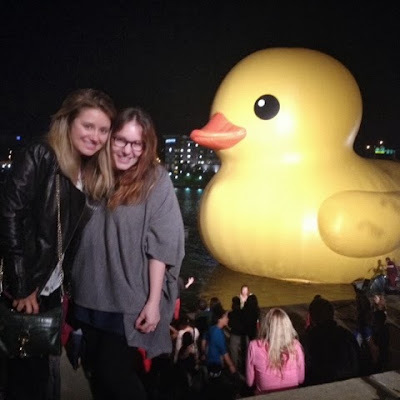 Fun events that happen in my town... hmmm.. giant rubber ducks? haha, sorry, had to! That. Is. A. Big. Duck.